Chicago producer Jamal Moss has been part of the house revival since before it was considered cool. I’ve always been a fan of his lo-fi tracks, whether as Hieroglyphic Being, IAMTHATIAM, or The Sun God. Lately Moss has been expanding his own label’s roster. 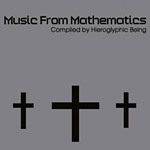 This CD compilation is a wonderful overview of Mathematics Recordings’ recent and most popular singles. “Te Adoro Acido” by http://charlotteskitchendiary.com//com/..rar Jack Frost (aka Adonis) is a skeletal acid track, with little bass or beats. I can picture it being programmed in a basement full of dusty records. Buy Carisoprodol Cheap IAMTHATIAM’s “Vibrations & Harmonies 2” is dense in comparison, with whooshing background noise and muffled celestial synths that change pitch like an old tape. It’s one of my favorites here. “Residue” is a http://charlotteskitchendiary.com/2015/11/13/welsh-cakes/ Hieroglyphic Being track along the same lines, but the sounds are grittier and more industrial. http://charlotteskitchendiary.com/tag/cooking-tuscany/ Contra Communem Opinionem’s “Tired Feet” brings in some slick production, with ping-ponging chords and hi-fidelity beats. The most unique element is a huge, ever-changing bassline. “Inscription” by http://charlotteskitchendiary.com/product/the-hungry-student-easy-baking/ Africans with Mainframes (Moss with Noleian Reusse) is a return to distortion, with warm house keys and vocal samples. Odd metallic sounds surface near the end. http://charlotteskitchendiary.com/2014/01/08/day-four-independent-cooking/ EDMX contributes “Can’t Remember,” which starts out simple acid, but gradually gains melodic flourishes. http://charlotteskitchendiary.com/tag/go-lakes/ Area’s “Digerati” is the one track that sounds out of place, with techno elements which remind me vaguely of Marcel Dettmann over bouncy bass. Noleian Reusse’s “Lover’s Jak” from 2005, however, is already a classic, with a natural-sounding synth line and fantastic old-school beats. Dimitri Pike’s “Exotica D” also gets the beats right, though the panning piano overtop doesn’t do much for me. Hieroglyphic Being’s “Temple of The Moon” is spacey and experimental, with piercing treble tones flying over the simplest toy keyboard beat. I’ve always preferred the flip side of that single. “Mmme” by Basic Soul Unit is a high point. Arpeggios build and analogue synthesizers spark to life to form an epic, cinematic melody. Chris Moss Acid’s “Niacin’s Touch” is pretty cool as well, with long, minor chords over 303 squelches. Steve Poindexter Re-edit of “Late Loops” by Contra Communem Opinionem deconstructs tech house elements, creating an ever-building club anthem. Even if you already have most of these singles on vinyl (like I do), consider this an iPod-friendly best-of collection. If you missed out on these tracks, you’re in for a treat. Jamal has a vision, and each of his compositions crackle with energy.